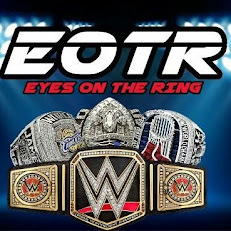 The fine folks at EOTR are bringing back our rivalry of the week column. A lot of thought was put into how I would bring this one back, so I chose a rivalry that’s rather underrated in some way, but classic in others. Triple H has had rivalries with plenty of Hall Of Fame wrestlers, but I would have to say this was the rivalry that got him into the main event scene. Triple H is one of the only men to face all 3 incarnations of Mick Foley, and that actually includes Mick Foley the man. 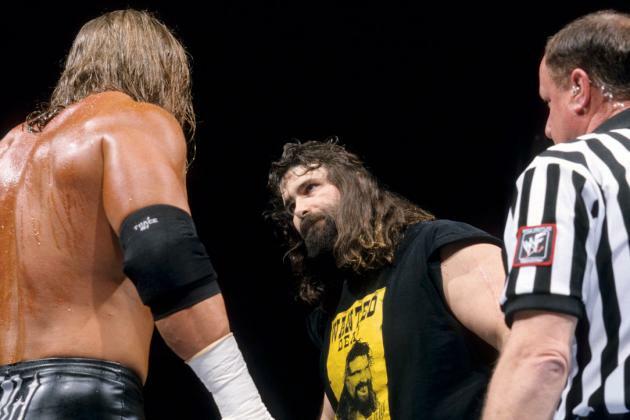 Let's take a look back at the Foley vs Triple H feud. There are a ton of great matches between these two, but I'll only select two of them for this portion of the rivalry. -This is arguably the best match of the rivalry but arguably the best Hell In A Cell match ever (Editor's Note: It is not the best or even top 3, but opinions) This match put Triple H on the map as THE MAN. It felt slightly bigger than him defeating Mankind or Dude Love. Cactus Jack is the most famous (and infamous) incarnation of Foley for matches like these and for Triple H to "retire" this man in this incarnation was HUGE. -We discussed this already, but this match really got Triple H over as a tough heel. He went through a war with Foley and walked away victorious. After Foley brought back Cactus Jack, some thought he might win the title, but he was merely putting Triple H over for the belt. There are so many matches that are slept on between the two, as they've had a number of great matches over the years. Let's go with two matches that are superb, but not seen as a classic like three or four of their matches are. -While not a masterpiece, this match was huge for both the HHH and Mankind characters. We saw a brawl that look like Triple H had injured Mankind’s neck. We saw Triple H finally achieve success after the infamous Curtain Call, as he pinned Mankind to become the new King Of the Ring. This was a great match. -This match was the true continuation of their battle and it was a supremely slept on match. These two went toe to toe with Mankind going through his changes personality wise. 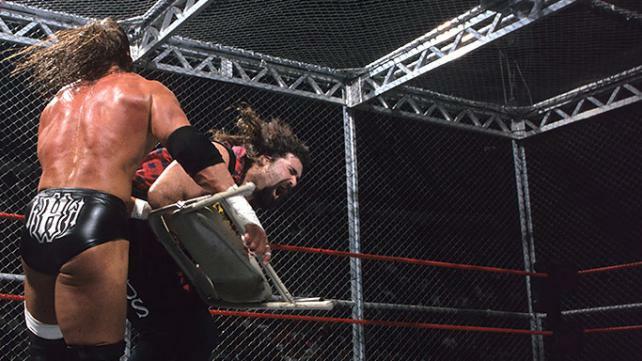 We did get the one iconic moment with Foley hitting the elbow drop off the top of the cage. Chyna would get involved, but she only added to the quality of the match. All in all, this was a pretty damn good match. -This match was basically a transition to get the title off of Austin and onto Triple H. Mankind was the transitional champion for one night. There wasn’t much thought put into this match and you could tell both men kind of phoned it in. Triple H wins, but it really didn't even matter honestly. This was a rivalry that went back and forth, with Triple H getting the first substantial win at King Of The Ring, but Mankind would pick up other victories as well. 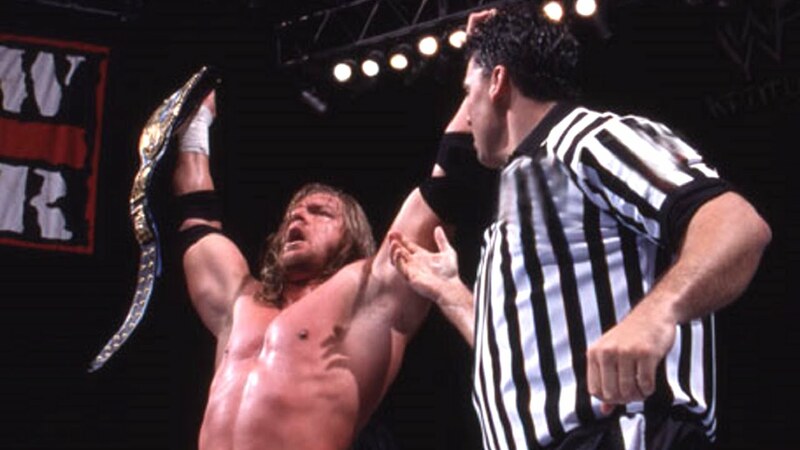 Triple H would take over the rivalry in the later years, especially in late 1999 and early 2000, winning every big match, so pretty clearly, Triple H won this rivalry and was put over by Foley countless times.